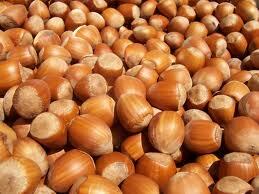 My "truly scrumptious" delight this week was a humble hazelnut. I was cooking with some and one got away and I ate it - just raw. Gosh - the taste was fabulous. I rarely eat hazelnuts just as they are - but that will change now. 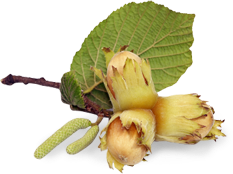 My first revelation about hazelnuts came when I was lucky enough to go to the French Laundry for dinner one night. One of the courses they served had three raw hazelnuts on the plate. When I ate one, I couldn't believe how wonderful it tasted. I figured they must have an incredible secret place where they source them, as I'd never tasted such a fresh, flavorsome hazelnut...but then, there in my kitchen this week was another one! Pure delight! Go out and buy some raw hazelnuts and give them a try. They are so delicious. I think too often we get old rancid or salted/roasted hazelnuts and it masks their delicate flavor. It's got to be the tastiest nut out there! 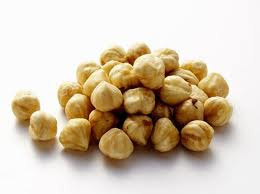 Hazelnuts are rich in unsaturated fats - which are shown to lower LDL and raise HDL. They are also high in magnesium, manganese, Vitamin E, and B Vitamins. You will be seeing more hazelnuts in my future! What was the most truly scrumptious food you ate this past week?